This is a remake on The Sweets Life, because I was getting sick of our regular green salads and it's about that time of year when you're looking for ways to use up the pounds and pounds of zucchini in your garden or that you picked up for super cheap at the farmer's market or grocery store. We liked this as much as we did the first time we tried it, a few summers ago. 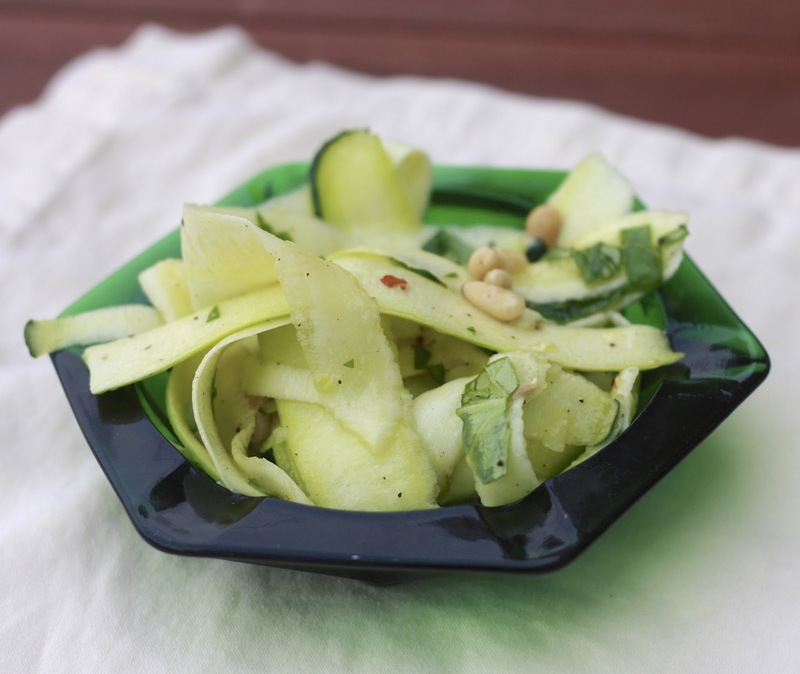 It's easy to shave zucchini into thin strips and after tossing it with a simple lemon vinaigrette and some pine nuts and parmesan, you've got yourself a simple, but elegant side dish. 1. In a small bowl, whisk together oil, lemon juice, salt, pepper, and crushed red pepper. Set aside. 2. 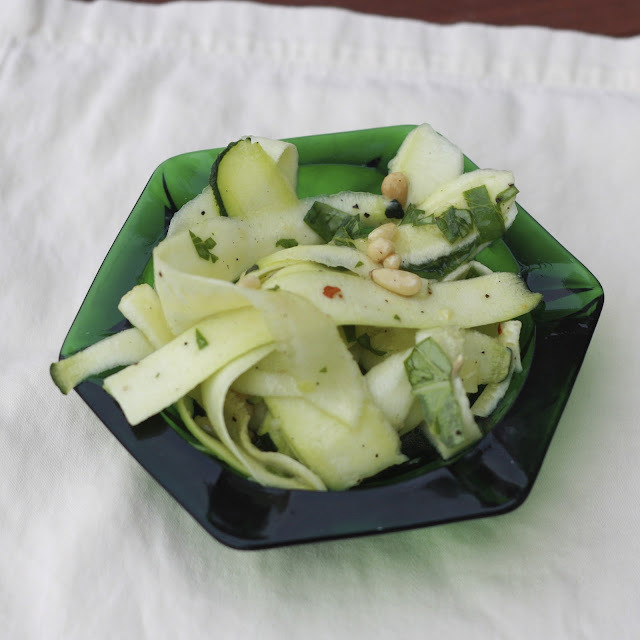 Peel zucchini into ribbons with a vegetable peeler. Place in a large bowl and top with basil. Toss with dressing and season with salt and pepper. 3. Just before serving, top with freshly grated parmesan cheese.